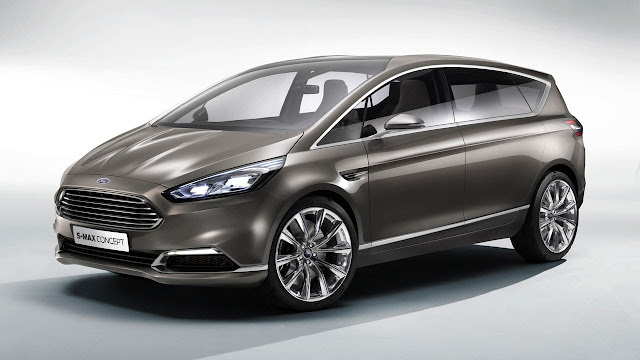 Ford of Europe has revealed the new Ford S-MAX Concept, a sport activity vehicle that takes the style-without-compromise ethos of the popular current S-MAX to new levels with a sharper design, advanced technology and premium craftsmanship. 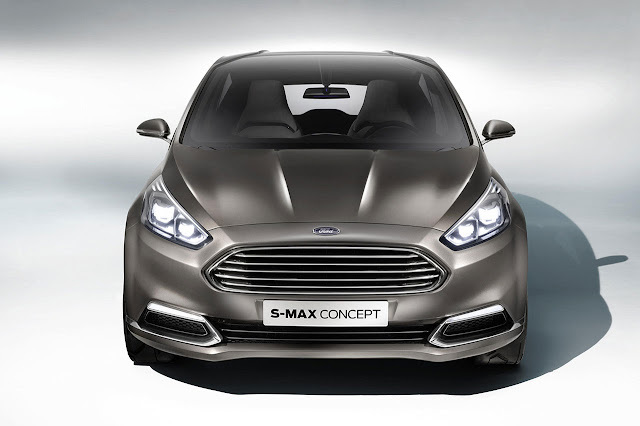 The new S-MAX Concept employs the latest Ford global design language with a high mounted grille, swept-back headlamps and a unique treatment of the vehicle’s lower fascia incorporating design elements that appear to float within the lower front aperture and above the spoiler. The characteristic S-MAX profile has been honed with the front bonnet sweeping seamlessly into the sharply raked front screen, which in turn flows into the dynamic arc of the roof to create a unique glass graphic. This sleek silhouette surrounds a spacious and versatile interior that offers anything from four to seven-seat configurations. 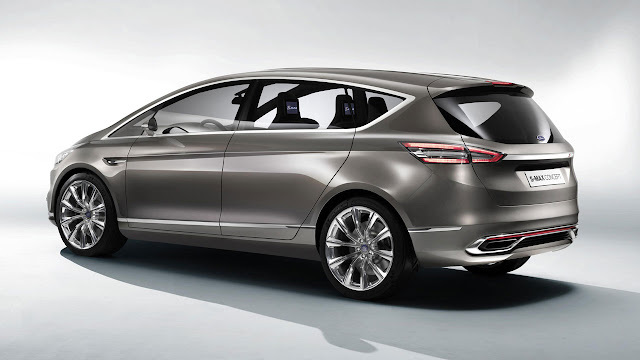 Further exterior design cues include a feature line running along the flank to create an impression of length and speed, sculptured muscular shoulders, and distinctive headlamps featuring Organic LEDs – the latest lighting that offers greater flexibility in terms of positioning and design, fast response and colour range. 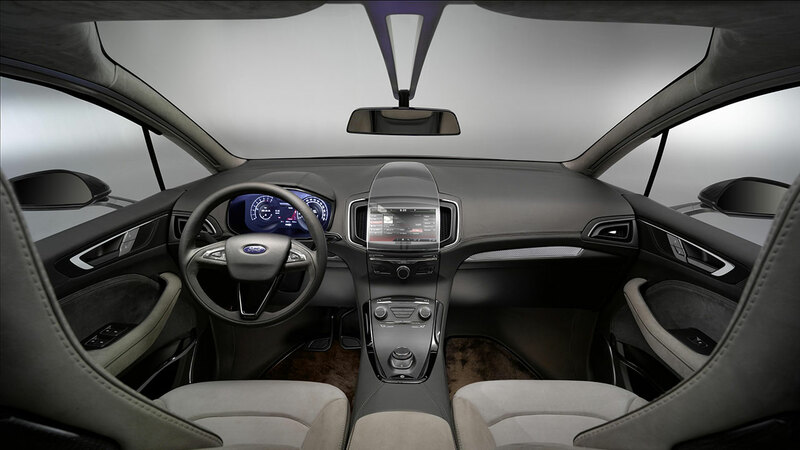 The S-MAX Concept interior is an expression of cutting-edge design, convenience, connectivity, flexibility and craftsmanship. The front cabin places the focus firmly on the driver. Dynamic shapes and forms combine in a high-set instrument panel that cuts back in the centre console and creates a feeling of space. 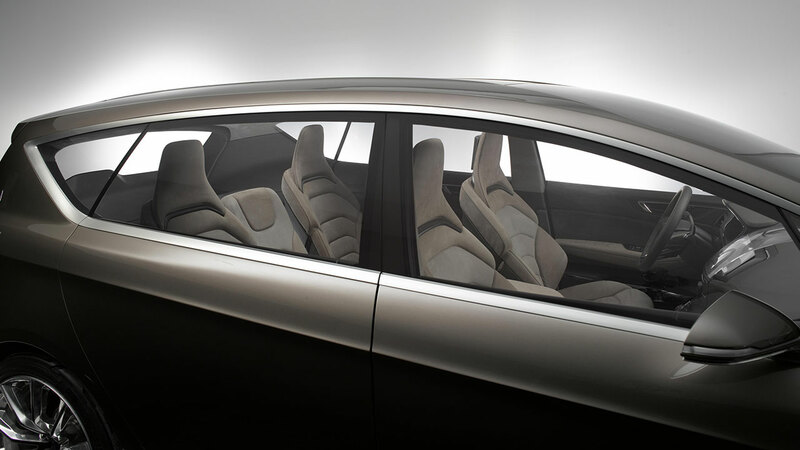 The door panels are similarly sculptured and an innovative interior roof design maximises the feeling of spaciousness. 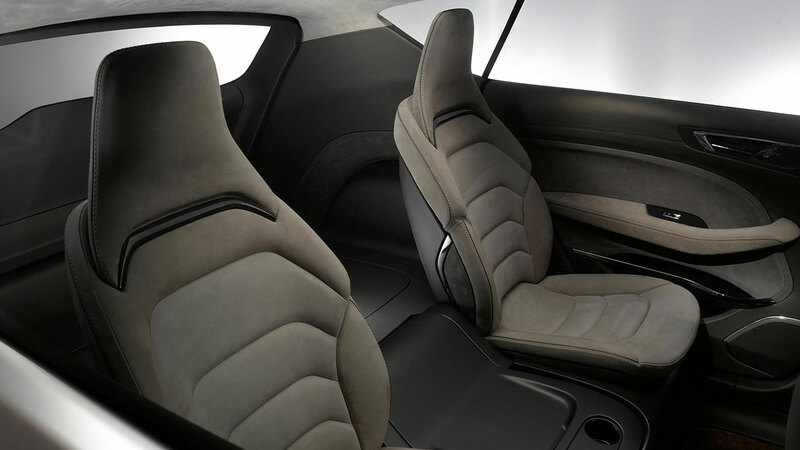 High quality materials include an ultra-soft leather wrap for the instrument panel, and leather and carbon fibre detailing for the sculptured seats. 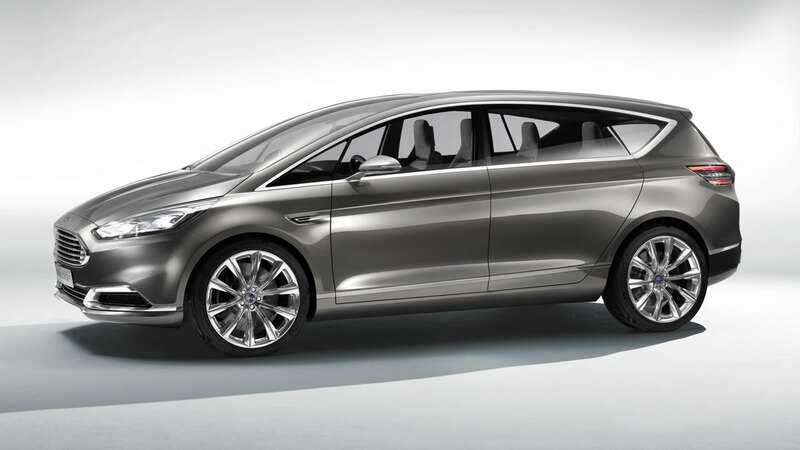 The Ford S-MAX Concept employs leading-edge Ford features and technologies to provide new levels of connectivity and well-being as well as safety, convenience and driving appeal. The Ford SYNC system sits at the heart of the vehicle’s advanced connectivity features. Ford SYNC with MyFord Touch delivers wi-fi for passengers, supported by a tablet docking station that allows second row occupants to integrate personal devices into the vehicle. SYNC AppLink enables the driver to voice-control smart phone apps from an expanding list of service providers, which include Spotify, Kaliki, Glympse and Aha – bringing additional music, news, personalised information as well as location and navigation options into the vehicle.